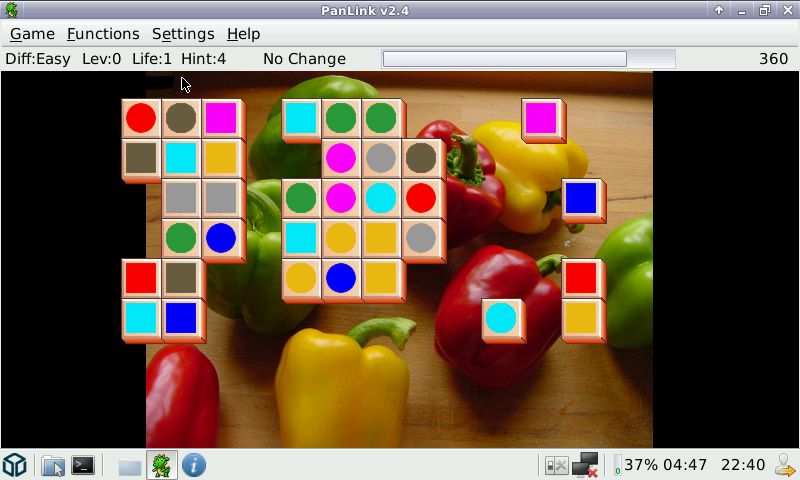 OpenSource clone of the puzzle game LinLink. You have to pair up cards following rules similar to Mahjong. 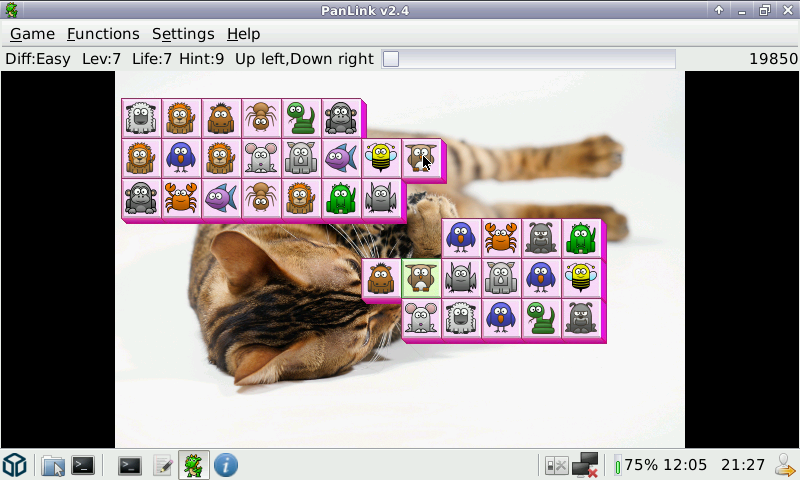 PanLink was forked from llk_linux in January 2013, which seems to be abandoned since 2005. First release is v2.4 and based on the 2.3beta1 source code of llk_linux. Major changes are optimizations for fitting the OpenPandora screen, stripping and rewriting some incompatible or deprecated code and replacing artwork with unclear licensing. Thanks! - I've worked on this a bit over the last year, maybe i will release an update soon.